Made by the US War Department, this video shows the evacuation of peoples of Japanese descent following Executive Order 9066. This action was taken to prevent sabotage and espionage. Footage from the internment camps is also included. 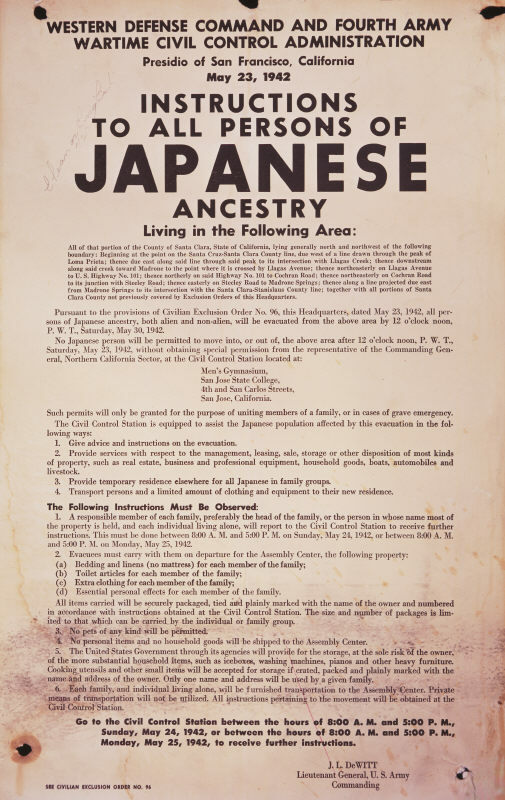 Since it was produced during WWII, none of the controversies surrounding this process is addressed, allowing a teacher to frame the issue in any way appropriate for your students. I have been lucky enough to have camp residents speak in my classroom and this video would be a great introduction or follow up. It is open-ended enough to ask whether this action was right and whether it could or should happen again. If you would like, check out our US History WWII or World History WWII PowerPoints.